Description: Until recently it’s been impossible to store solar energy in an environmentally benign way. Lead acid and lithium-ion storage batteries contain toxic materials or require sourcing from damaging mining practices. 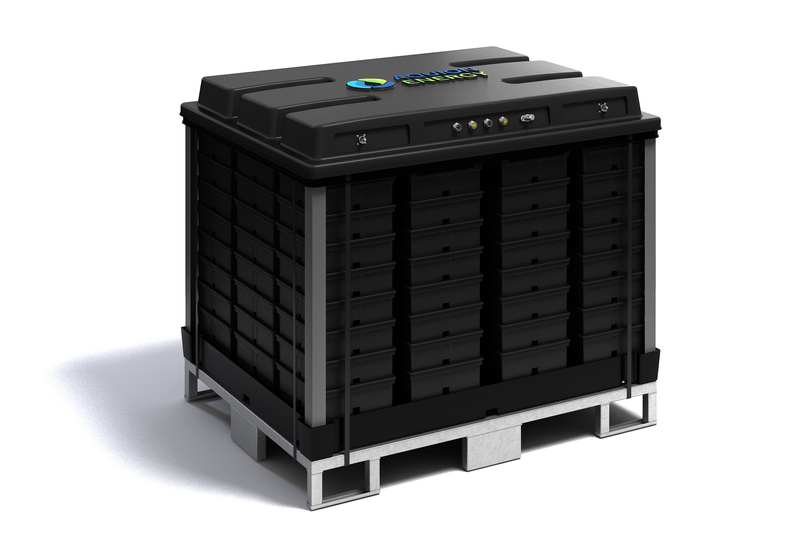 Aquion Energy has developed clean, high-performance storage batteries to pair up with solar panels. Their Aqueous Hybrid Ion (AHI) batteries (based on saltwater electrolyte technology) are made from abundant, non toxic and sustainable materials. They’ve become the first storage battery to be awarded a Bronze status by the prestigious Cradle to Cradle Certified organization, and the company has been listed on MIT’s Tech Review 50 Smartest Companies 3 years in a row. Aquion Energy’s batteries can withstand repeated discharging to the maximum depth without damage, and pose virtually no fire risk. Aquion Energy’s typical customers are homeowners and small businesses who are off-grid, or have invested in solar energy and want to replace diesel generators. The company wants to make their batteries accessible to people in developing countries. Can you summarize Aquion Energy in one sentence? 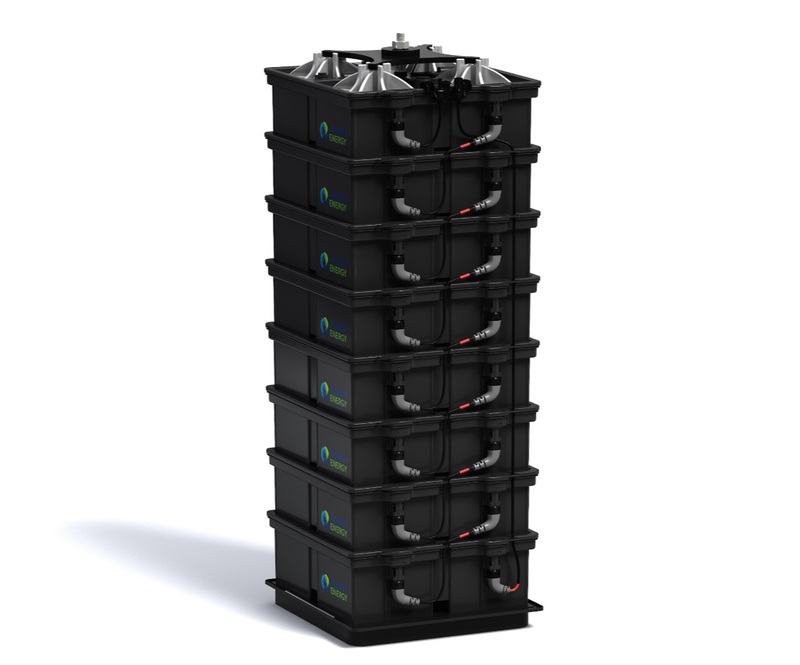 Aquion Energy is the manufacturer of proprietary Aqueous Hybrid Ion (AHI™) batteries and battery systems for long-duration stationary energy storage applications. Where did the idea for Aquion Energy come from? 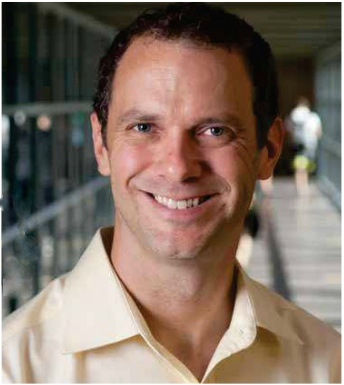 In 2007 Dr. Jay Whitacre used funding from Carnegie Mellon University to discover novel, ultra-low-cost electrochemical couples for stationary electricity storage applications. He surmised that for stationary applications, lower energy density is acceptable if the battery has low cost and long life. Whitacre co-founded a company to continue fundamental R&D work as an incubation at CMU. In the spring of 2009, Whitacre’s lab results had demonstrated commercial potential. Fueled by venture funding and a Department of Energy grant, the company was renamed Aquion Energy in 2010, moved into its R&D headquarters in Pittsburgh, and began building a team to commercialize the technology. How do you see the company’s future? Aquion’s future looks bright. The company continues to develop its core products and expand its global network of partners. Aquion’s clean, sustainable AHI batteries are gaining traction in some of the world’s key, expanding markets for energy storage. Solar power is considered one of the best ways to make our planet greener, but until recently it’s been impossible to store solar energy in an environmentally benign way. If you wanted to save the sun’s energy for a rainy day, or needed power at night, you had to use lead-acid or lithium-ion batteries that contained toxic materials or required environmentally damaging mining practices, and were often unsafe. Today, thanks to a small Pittsburgh company called Aquion Energy, finding a clean, high-performance storage battery to pair up with your solar panels is as easy as a visit to the Internet. Aquion is one of many tech companies hoping to capture a piece of the growing battery storage market. What makes it stand out from the pack is its signature product, the Aqueous Hybrid Ion (AHI) battery, from manufacture to disposal arguably the most environmentally wholesome storage battery in the world. It was developed by Dr. Jay Whitacre, a Carnegie Mellon University professor of material sciences and Aquion Energy’s founder, who started working on the technology in 2007. The 21st-century version of a saltwater battery first invented by Alessandro Volta in 1800, the AHI uses a saltwater electrolyte instead of the typical cocktail of caustic chemicals. All of its parts—saltwater, carbon, manganese, cotton, steel, aluminum and plastic—are nontoxic, recyclable and landfill-safe. Its aqueous-ion chemistry means it can never blow up or catch fire, a problem that can afflict lead and lithium-ion batteries when they get old. At the same time, the AHI meets the strict performance requirements for off-grid and on-grid applications. Unlike its lead-acid and lithium-ion cousins, it can fully discharge without being damaged. And it tolerates greater temperature extremes. Last spring, the AHI became the first storage battery to be awarded a Bronze status by the prestigious Cradle to Cradle Products Innovation Institute; the group encourages designers and manufacturers to make their products in fundamentally better ways. The smallest unit Aquion sells is an “S-Line” stack, eight AHI batteries placed on top of each other like Lego blocks. A stack stands nearly a meter tall, weighs around 115 kilos and is stationary. Because it can be completely discharged and recharged 3,000 times without degrading, it will provide more than eight years of daily use. A single S-Line stack contains close to 2.5 kWh of energy—not much when you consider the average American home uses about 30 kWh per day. But the stacks are designed to be wired together in parallel, and a series of stacks paired with solar panels is enough to run a home. How many depends on the size of the house. Wealthy Americans have installed up to 500 stacks on their estates. But Matt Maroon, Aquion’s vice president of product management, said typical customers are homeowners and small businesses who are off the power grid, have an unreliable grid connection or have invested in solar energy and want to go all-green by replacing their dirty diesel generators with storage batteries. They generally use between six and 20 stacks, he said. The company’s offices are located in a small brick house on a side street in a working-class neighborhood of Pittsburgh. It also leases manufacturing space in a former Volkswagen assembly plant 50 kilometers away. Reportedly blessed with more than $100 million in funding from private investors including Bill Gates, it has grown to about 100 employees, split evenly between its offices and manufacturing facility. 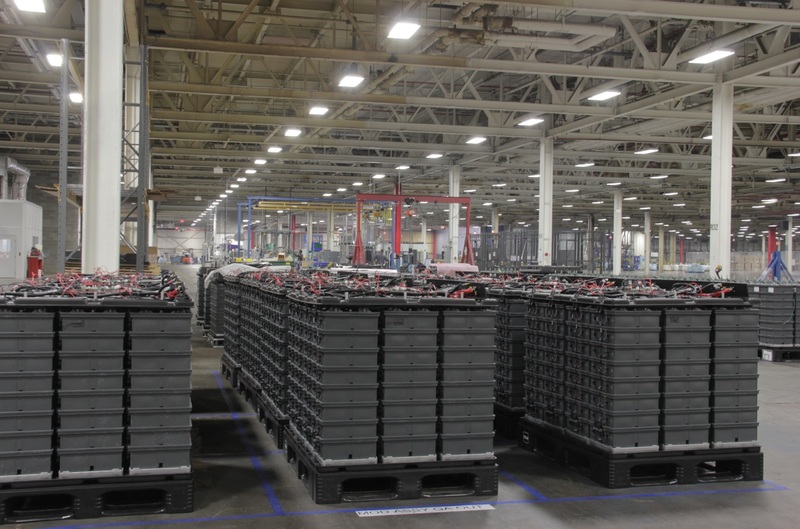 Though Aquion prefers not to share details of its sales, it has installed more than 10 MWh of batteries on six different continents, and the factory is ramping up production. Mass production is what makes the AHI battery unique today, said Whitacre. “The big differentiator right now is we’re the only sodium-ion chemistry that’s in production and for sale. It’s actually a manufactured product. No one else can say that.” He added that the biggest challenge going forward is “growing smartly”—figuring out which markets to enter, when and how. He expects Aquion to grow and prosper in step with the energy storage industry, which some experts predict will bring in revenues of more than $20 billion worldwide by 2025. The company intends to make a profit while staying true to its founding philosophy—making the planet greener and changing the way the world uses energy. L’énergie solaire est considérée comme l’un des meilleurs moyens de préserver notre planète, mais jusqu’à récemment, il était impossible de stocker l’énergie solaire sans risque pour l’environnement. Si vous vouliez faire des réserves d’énergie solaire en prévision d’un jour pluvieux ou si vous aviez besoin d’énergie la nuit, vous deviez utiliser des batteries au plomb ou au lithium-ion contenant des matériaux toxiques ou nécessitant des pratiques minières nuisibles pour l’environnement et souvent dangereuses. Aujourd’hui, grâce à une petite entreprise de Pittsburgh appelée Aquion Energy, il est aussi facile de trouver une batterie de stockage propre et haute performance qui s’adapte à vos panneaux solaires que de naviguer sur Internet. Aquion est l’une des nombreuses entreprises technologiques qui espèrent gagner une part du marché croissant du stockage sur batterie. Ce qui la différencie des autres est son produit vedette, la batterie AHI (Aqueous Hybrid Ion). Depuis l’étape de fabrication jusqu’à celle de l’élimination, elle représente sans aucun doute la batterie de stockage la plus saine et la plus respectueuse de l’environnement au monde. Elle a été développée par le Dr Jay Whitacre, professeur en sciences des matériaux de l’université Carnegie Mellon et fondateur d’Aquion Energy, qui a commencé à travailler sur cette technologie en 2007. La version du 21e siècle de la batterie à l’eau salée inventée initialement par Alessandro Volta en 1800 est la batterie AHI. Elle utilise un électrolyte d’eau salée plutôt que le cocktail habituel de produits chimiques corrosifs. Tous les matériaux qui la composent, c’est-à-dire l’eau salée, le carbone, le manganèse, le coton, l’acier, l’aluminium et le plastique, sont inoffensifs, recyclables et leur élimination n’est pas nuisible. Sa composition chimique à base d’électrolyte aqueux empêche toute explosion ou combustion, un problème auquel peuvent être confrontées les batteries au plomb et au lithium-ion avec le temps. Parallèlement, la batterie AHI satisfait aux normes strictes de qualité pour les applications en réseau et hors réseau. À la différence de ses cousines au plomb et au lithium-ion, elle peut se décharger complètement sans être endommagée. De plus, elle tolère les écarts de température importants. Au printemps dernier, la batterie AHI a été la première batterie de stockage à obtenir le statut de bronze décerné par le prestigieux Cradle to Cradle Products Innovation Institute. Le groupe encourage concepteurs et fabricants à créer leurs produits selon de meilleures pratiques. La plus petite unité commercialisée par Aquion est un module « S-Line », composé de huit batteries AHI placées les unes sur les autres comme des briques de Lego. Un module est fixe, mesure près d’un mètre de haut et pèse environ 115 kilos. Comme il peut être entièrement déchargé et rechargé 3 000 fois sans que sa qualité soit compromise, il peut être utilisé quotidiennement pendant plus de huit ans. Un seul module S-Line contient près de 2,5 kWh d’énergie, ce qui est peu si l’on considère qu’un foyer américain moyen consomme environ 30 kWh par jour. Cependant, les modules sont conçus pour être reliés en parallèle et une série de modules associée à des panneaux solaires suffit pour alimenter une maison. Le nombre de modules dépend de la taille de la maison. De riches Américains ont installé jusqu’à 500 modules sur leurs propriétés. Cependant, Matt Maroon, le vice-président d’Aquion chargé de la gestion de produit, affirme que les clients types sont des propriétaires et des petites entreprises qui se trouvent hors réseau, dont la connexion au réseau n’est pas fiable ou qui ont investi dans l’énergie solaire et souhaitent adopter une approche entièrement écologique en remplaçant leurs génératrices diesel très polluantes par des batteries de stockage. Ils utilisent généralement entre six et 20 modules, affirme-t-il. Les bureaux de l’entreprise se trouvent dans une petite maison en brique d’une petite rue du quartier ouvrier de Pittsburgh. La société loue également des espaces de production dans une ancienne usine de montage Volkswagen à 50 kilomètres. En outre, elle aurait reçu plus de 100 millions USD de financement de la part d’investisseurs privés, notamment de Bill Gates, et s’est développée au point de compter environ 100 employés, répartis de manière égale entre ses bureaux et son usine de fabrication. Bien qu’Aquion préfère ne pas donner de détails sur ses ventes, l’entreprise a installé plus de 10 MWh de batteries sur six continents et l’usine ne cesse d’augmenter sa production. Aujourd’hui, ce qui rend la batterie AHI unique est le fait qu’elle soit fabriquée en série, déclare Jay Whitacre. « Actuellement, la grande différence réside dans le fait que nous sommes les seuls à utiliser la composition chimique sodium-ion à la fois pour la production et pour la vente. Il s’agit vraiment d’un produit manufacturé. Aucune autre entreprise ne peut en dire autant. » Il ajoute que le défi le plus important à relever est de se « développer intelligemment », en déterminant les marchés sur lesquels pénétrer, ainsi que le moment et la façon d’y pénétrer. Selon lui, Aquion va se développer et prospérer en harmonie avec le secteur du stockage de l’énergie, qui, selon certains spécialistes, devrait rapporter plus de 20 milliards USD de revenus dans le monde d’ici 2025. La société prévoit de réaliser des bénéfices tout en restant fidèle à sa philosophie fondatrice : rendre la planète plus propre et changer la façon dont le monde utilise l’énergie.